Children's cross stitch. 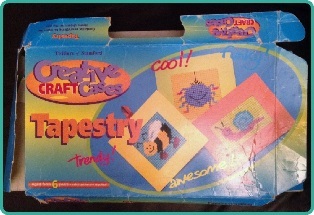 Cross stitch for kids | Cross Stitching Heaven. Welcome to Children’s cross stitch. Here is a lovely simple starter tapestry/cross stitch kit for ages 6+. Bought for my children, hardly touched then left at the back of their toy cupboard for about 15yrs! Someone tried a few stitches here and there choosing their favourite colours but they never completed any of the little cross stitch insects. The Tapestry kit contains all the essential materials that are required to complete each colourful design inside. That is Aida/canvas, needles, coloured wool and a card of the picture you are completing. 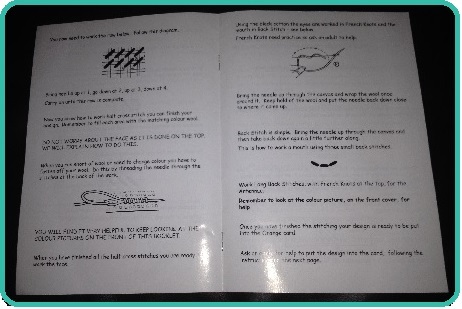 The instructions are clear, easy to follow with each colourful insect printed onto the stiff Aida/canvas. To complete each mini beast just select the right coloured wools, thread the needle then sew half stitches to fill the design. Other stitches required, include French knots, back stitch and long stitch for the features of each animal but they are very simple to do. 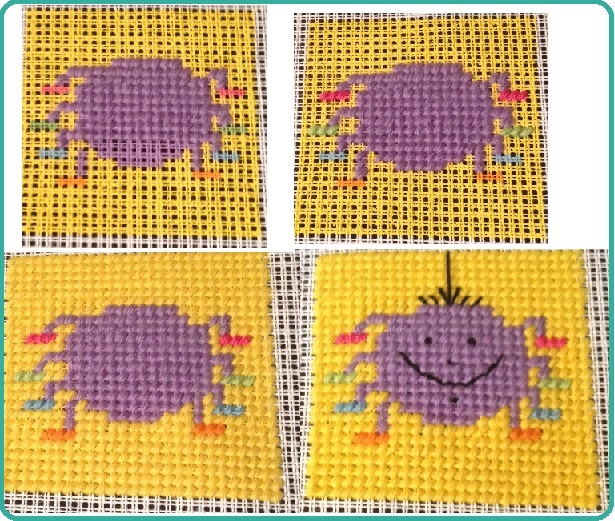 I completed the gorgeous spider first as my children had already attempted to do some of this! You can find a varied selection of cross stitch/Tapestry kits for all ages which are available to purchase here!